For some time, the Brexit was the primary topic of discussion, and for good reason. It was the single most important topic when it came to the global economy. While that has changed recently with the United States presidential election in focus, the election is coming to an end, and I have a sneaky suspicion that the Brexit will soon be the prime topic of discussion yet again. With that said, today we'll talk about what a Brexit is, what we know about the story thus far, and what you should be watching if you're concerned about the state of the global economy. If you missed the news as it took center stage, the Brexit is something incredibly important to understand. Years ago, the EU and the UK entered into an agreement that created a strong relationship between the two economies. Unfortunately, many in the UK believed that this relationship was actually causing economic hardships in the UK. As a result, many politicians started to back the idea of Britain leaving the European Union. Because politicians in the region simply couldn't agree, the move ended up being a referendum passed down to the voters. Soon enough, the British consumers voted to leave the EU, in what is being considered the Brexit. Essentially, the word Brexit combines two words, British and Exit, and it describes the action of the UK leaving the EU. So, Are The UK And The EU Completely Divorced At This Time? Not quite. You see, first, the UK needed to get the vote from consumers showing confidence in the idea. They have received that. Now, the next step is to invoke article 51, the rule that allows the UK to leave the EU and start negotiating trade agreements with EU members individually. At the moment, article 51 has not yet been invoked. However, that is coming soon, and it has caused the topic to heat up quite quickly. About a month ago, the UK's own Theresa May, announced that article 51 would be invoked by no later than the end of March, 2017. This was a big announcement, that in ways, took many by surprise. Some of those it took by surprise were Francois Hollande of France and German Chancellor Angela Merkel. Shortly after Theresa May said that article 51 would be invoked no later than March, both Hollande and Merkel made statements of their own. In their statements, they called for tough negotiations and making the UK pay for their decision. This immediately led to global economic concerns, causing the market to swing wildly for several trading sessions after. So, everything above is what we know so far. We know that the UK has voted to leave the EU. We know that the UK said it would be starting negotiations in late March. 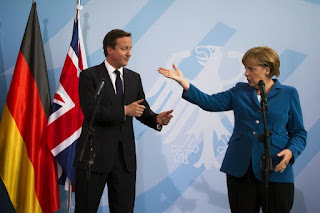 And we know that the UK is likely to be met with Stern Options in negotiations in Merkel and Hollande get their way. This is incredibly important. If the negotiations don't go well, two of the world's largest economies will likely be met with incredibly hard times. So, if you are an investor, a trader, or an economist, this is going to be a very important story to watch. As the story unfolds, keep a close eye on how leaders in the EU seem to feel about the negotiations for hints as to what we can expect to see. Nonetheless, this is going to be a very interesting story to watch as the US election comes to an end and leaves the limelight.